CEO of national energy company Ukrenergo Vsevolod Kovalchuk has signed an agreement on conditions of the future merger of the power grids of Ukraine and Moldova with the energy system of continental Europe, the Ukrainian company's press service has reported. The agreement was signed in Brussels on June 28 during the Assembly of the European Network of Transmission System Operators (ENTSO-E), it said. In keeping with the procedure, it also should be signed by Moldelectrica and all member transmission system operators, which are part of ENTSO-E's regional group "Continental Europe." The document consists of three main parts: a catalog of requirements (unconditional fulfillment of which is necessary for making a decision on the merger of the power grids); a list of necessary additional research; and a road map. "The signing of the agreement is a truly historic event, because it is the starting point for the beginning of the integration of the power grids of Ukraine into the European Union's," Kovalchuk was quoted as saying. Ukrenergo notes that although technically work in parallel with ENTSO-E and the current similar work with Russia, Belarus and Moldova are similar processes, they are based entirely on different economic models. In particular, synchronization with ENTSO-E will require not only the implementation of a number of complex technological measures, but the restructuring of the entire electricity market in the country and its transfer to other market mechanisms, when any consumer in Ukraine will be able to import electricity from any EU country, while any electricity producer will be able to export it to the end user in Europe. 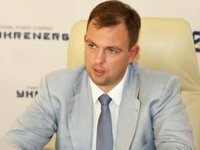 "Therefore, the synchronization with ENTSO-E is impossible without the full-scale introduction of a new model of the electricity market in accordance with the requirements of the Third Energy Package," Ukrenergo stresses. Kovalchuk also met with Vice-President of the European Commission in charge of Energy Union Maros Sefcovic, the press service said. The delegation of Ukraine presented a detailed plan for the future integration of Ukraine's integrated power grids with the European energy system. The parties also discussed further algorithm of actions to synchronize power systems and the introduction of a new market model.